On arrival at Delhi Airport our representative will greet you with a TRADITIONAL WELCOME “Namaste" gesture-Two hands joined together which shows the warmth and love for its guests. 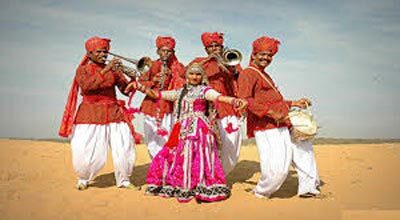 This hospitality and culture makes journey to India memorable. After the warm welcome transfer to the hotel. Overnight stay. After breakfast start the morning with the sightseeing in Delhi. Visit the historical monuments such as Jama Masjid (closed on Monday) - The largest mosque in Asia, Red Fort which is the red stone magic from outside. Gandhi memorial known as the memoir of father of the nation. After this begin your sightseeing at India Gate -The memorial of martyrs and the Parliament House – The govt. head quarters, Humayun Tomb. After Lunch, drive to Agra by road which is approx 205kms/05 hours drive. Arrive and check-in at the Hotel for an overnight stay. After having breakfast head to Taj Mahal (closed on Friday). Taj Mahal, the most exclusive monument was built by the Mughal Emperor Shah Jahan in 1630 AD for his queen Mumtaz Mahal to enshrine her mortal remains. It’s a poem written in white marble, the most extravagant monument ever built for love, Then visit to Agra Fort which is a must as many of the events took place here which lead to the construction of the Taj Mahal. After Lunch drive to Jaipur which is approx 240kms/05hours to visit Fatehpur Sikri. Built by Emperor Akbar in 1569 AD, Fatehpur Sikri has the most graceful buildings including Salim Chisti’s Tomb, Jama Masjid, Panch Mahal and other palaces. After exploring arrive at Jaipur, check-in at hotel for an overnight stay. After breakfast visit Jaipur In the morning, take an excursion to Amer fort with joy ride on an Elephant. While returning to the city, have a glimpse of Jal Mahal. For more sightseeing of Jaipur visit City Palace which occupies a large area divided into a series of gardens, courtyards, buildings, a perfect blend of Rajasthan and Mughal architecture. Another masterpiece, Royal Observatory – An observatory with some rare qualities to its credit, drive past Hawa Mahal (the Palace of Winds) – and the Bazaar. After lunch return and relax in the hotel for an overnight stay. After morning breakfast, drive to Pushkar which is 130 Kms /2 ½ Hrs Drive from Jaipur. On arrival go for tented accommodation. After lunch In the Afternoon, visit Camel fair. Then head to the hotel for an overnight stay. Begin the day by visiting to Camel fair and return to hotel for overnight stay. After breakfast, drive to Delhi approx 395 Kms/ 06-07 Hrs Drive. After arrival have dinner at City Restaurant then head to international airport for a connecting flight for onward destination. Get transferred to the airport and board the flight to your onward destination.